A boat trailer may not be as glamorous as the watercraft that rides atop, but that same boat the trailer carries is going nowhere without it. That is why your boat trailer is worthy of the utmost care and protection, and why you should take steps to properly maintain it. Below are a few tips that will help you keep your boat trailer working well for years to come. The wheel bearings in your trailer’s wheels are regularly exposed to water and all kinds of muck, and this can eventually cause damage if not addressed. An annual cleaning and servicing will go a long way to protecting them from corrosion and failure. You can perform the task yourself, but if you aren’t sure you want to tackle this dirty job, take your trailer to a qualified mechanic for help. 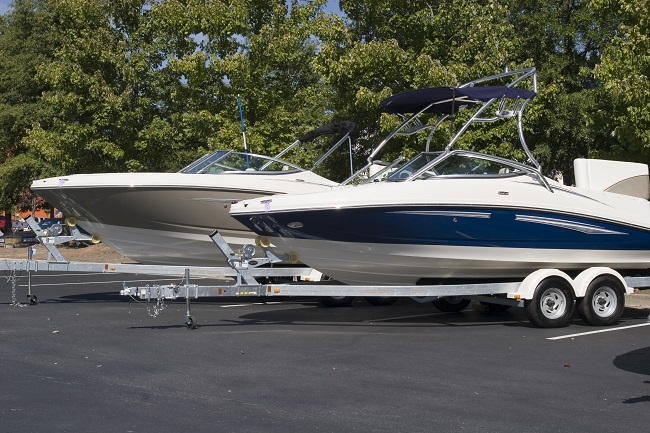 Another tip that keep your boat trailer happily rolling along is to inspect it regularly for signs of damage. For example, take a close look at the hitch tongue to make sure the locking mechanism moves freely. Other areas you should check are the leaf springs, axles and other metal components that may rust if neglected. In addition, check all the lights to ensure they illuminate; have a helper press the brake pedal and flip the turn signal indicator while the trailer is hooked up to the tow vehicle. Promptly replace any burned-out bulbs to prevent a possible accident or traffic citation. Finally, keep your boat trailer stored at Party Barn Boat & RV Storage. Our facility has plenty of room for you to maneuver your trailer safely, and you can choose from a variety of storage options, including both covered and uncovered. We also secure our facility from outside intruders, and you will be given a private gate code that allows for convenient access. In short, you will know your trailer is safe and sound at Party Barn Boat & RV Storage. Lake Lavon is a gorgeous place to visit during the summer. It has the kind of small-town atmosphere that makes it a beautiful place to take a break during the warmest time of the year. You can swim, jet-ski, and even boat on this beautiful lake. 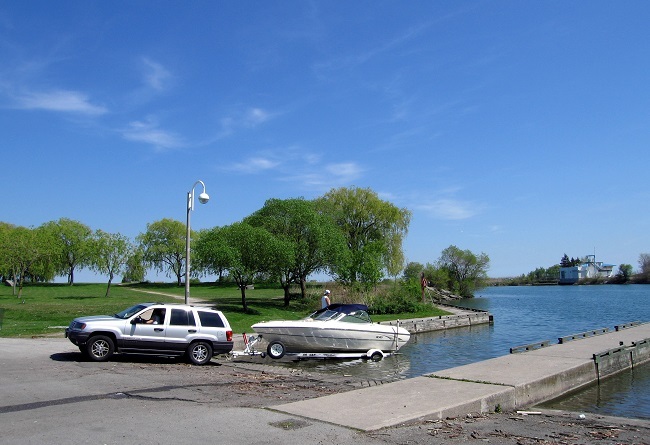 If you just bought property here and need a place to store your boat and trailer, consider the benefits of placing them in a high-quality facility near the lake. First of all, you won’t have to haul your trailer all the way from home every year. Bringing your trailer and boat all the way from your full-time residence can be an annoying and frustrating process. It can slow your travel time and even cause damage to the trailer or boat that is hard to repair. Secondly, renting storage near the lake helps avoid the need for building a storage center on your new property. While making a storage area for your boat and trailer on your Lake Lavon property isn’t a bad investment, it isn’t as carefully protected as a boat trailer storage center. That’s because these storage centers usually have multiple forms of security to protect your investment. For example, there are often security guards posted on the property to ensure no shifty characters break into your storage centers. There are also alarms, cameras, and a variety of other measures that help to keep your boat and your trailer safe. While it is possible to install some security measures on your boat storage area, there isn’t much you can do if somebody breaks past them. After all, you might be hundreds of miles away in your full-time home. As a result, it is essential to get the kind of high-quality security that you deserve in a professional storage center. So if you love coming to Lake Lavon and need a place to store your boat trailer, please don’t hesitate to contact us now. Our specialists will help you find a great place to store your boat trailer in our facility. And they’ll help to keep your boat and trailer safe and protected while you are away from the area.